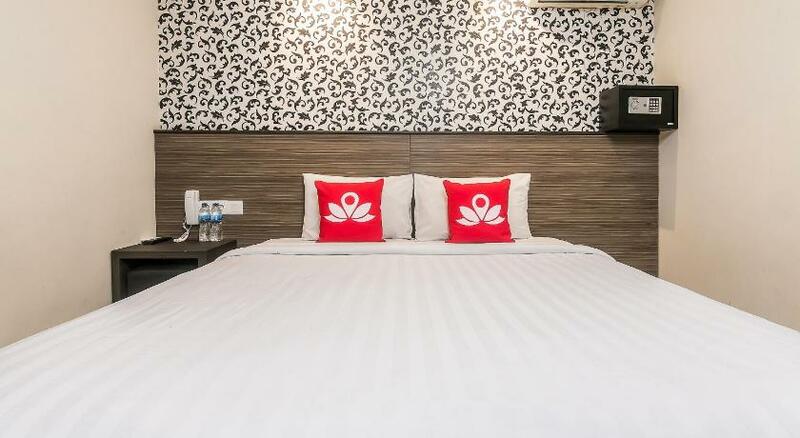 RedDoorz @ Istana Kuta Galeria - Kuta, Bali, Indonesia - Great discounted rates! 6.6 out of 10 based on 43 verified user reviews via Agoda. Ideally located in the prime touristic area of Kuta, RedDoorz @ Istana Kuta Galeria promises a relaxing and wonderful visit. The hotel offers guests a range of services and amenities designed to provide comfort and convenience. Take advantage of the hotel's free Wi-Fi in all rooms, 24-hour front desk, luggage storage, Wi-Fi in public areas, car park. Designed for comfort, selected guestrooms offer television LCD plasma screen, internet access ?ÛÒ wireless (complimentary), non smoking rooms, air conditioning, desk to ensure a restful night. The hotel offers various recreational opportunities. Convenience and comfort makes RedDoorz @ Istana Kuta Galeria the perfect choice for your stay in Bali. RedDoorz @ Istana Kuta Galeria - Bali classifies itself as a 3 star hotel.